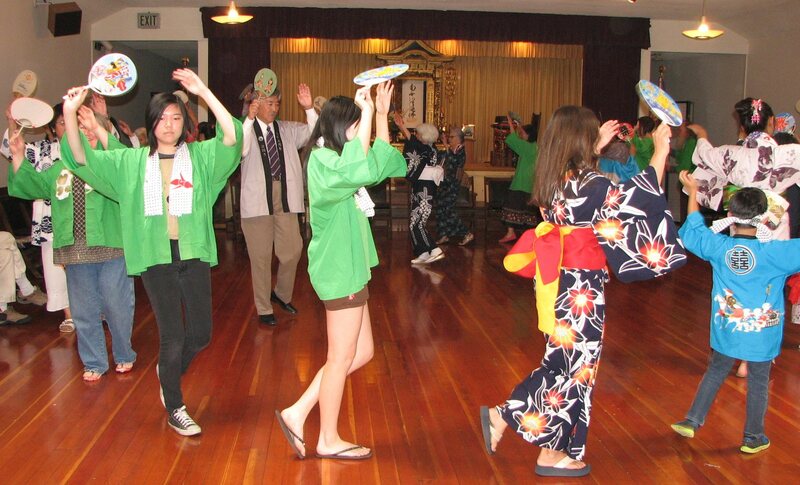 MILL VALLEY — Buddhist Temple of Marin, 390 Miller Ave. in Mill Valley, will celebrate Obon on Sunday, July 13. Obon is a traditional Buddhist celebration honoring the departed spirits of one’s ancestors. The one-hour service, led by Rev. Henry Adams, will begin at 2 p.m., followed by Obon Odori, a Japanese style of line dancing, which will last about an hour. Afterwards, everyone will share a potluck meal together. Bring your favorite dish to share. All are welcome. To prepare for the Obon Odori, the church will conduct dance practice on Friday, July 11, at 7:30 p.m., led by temple member Chiz Shiro. For more information, call (415) 388-1173 or visit www.buddhisttempleofmarin.org/.